Possibility to spend the night at Tokyo - Haneda airport (HND), if open 24 hours. Services available, places to rest (free resting zones), or look for the list of nearby hotels and vip lounges..
Haneda airport is a safe place with modern facilities. Terminals 1 and 2 close at night, but the International Terminal opens 24 hours a day. The security staff could ask you for proof of onward flight, so have your ticket ready. Where to rest: The enclosure is a comfortable place to spend the night, with many benches with no armrests and carpeted areas. 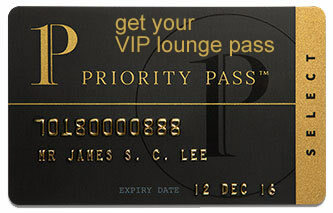 If you have a bigger budget, there are numerous VIP lounges with more amenities, some of them open during the night. SEE VIP LOUNGES In addition, there are hotels inside terminals 1 and 2 and next to the International Terminal. Baggage: Lockers and luggage storage offices in the three terminals. Eating and drinking: The only options open throughout the night are found in the International Terminal. Restrooms: On the second floor of the International Terminal you can rent a shower cabin with different services and toiletries. Other services available around the clock: Currency exchange bureaus, convenience stores, baby changing facilities, children's play areas. On the first floor of Terminal 1 is located the capsule hotel First Cabin Haneda (Tel +81 357 578 755), while the Haneda Excel Hotel Tokyu (Tel +81 357 566 000) is connected to the second floor of Terminal 2. The Royal Park Hotel Tokyo Haneda (Tel +81 368 301 111), on the other hand, is linked to the third floor of the International Terminal. Some alternatives outside the enclosure are: Hotel JAL City Haneda Tokyo (Tel +81 357 352 525), Keikyu EX Inn Haneda (Tel +81 337 423 910), Hotel MyStays Haneda (Tel +81 368 635 539), Business Hotel Baigetsu (Tel +81 337 451 141), Airport Inn (Tel +81 337 417 221), TamaDear Hotel Haneda (Tel +81 337 415 573), 328 Hostel & Lounge (Tel +81 364 238 530).